Location Location Location! Superior quality, designer features, style and elegance, mixed with a luxury modern twist, is the best way to begin to describe this attractive and deceptively spacious, five-bedroom, four-bathroom family residence arranged over three floors. 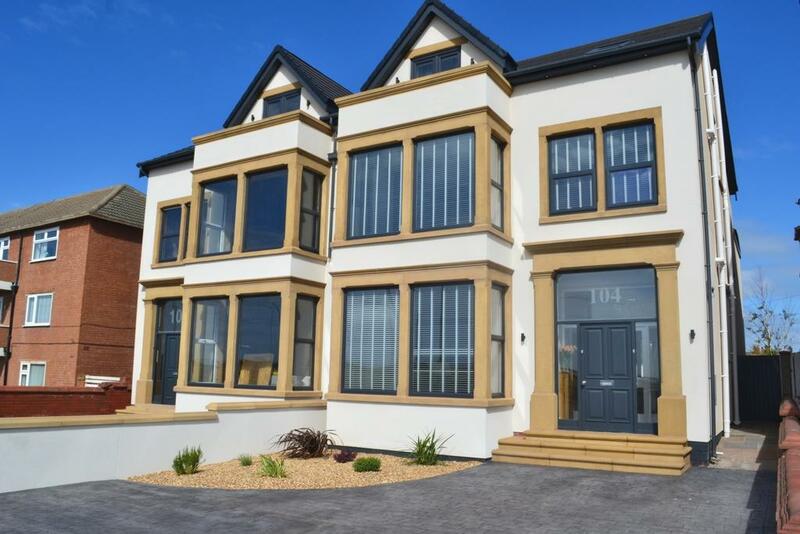 Befitting of its seafront location and oozing with kerb appeal, steps lead up to a grand entrance and inner vestibule with oak and glass panel French style doors opening to the entrance hallway, which hits you with wow as soon as you walk through the door. The ground floor accommodation boasts a dream home open-plan family room, unique Nobilia German manufactured kitchen and snug area, with grey anthracite bi fold doors leading to a generous enclosed walled rear garden with an Indian paved patio area. Other ground floor accommodation features include a fully tiled downstairs w.c. utility room and beautiful living room with a large picture window over looking Queens Promenade and the Irish Sea. The first and second floor accommodation equally matches the high-end finish of the ground floor, five large bedrooms, three with their own en-suite bathroom/shower-rooms and a separate family bathroom on the first floor. The master bedrooms to the front of the property both benefit from sea views and the second-floor master benefits from its own private balcony with unrivalled promenade sea views. Externally, outside evening lighting compliments the full character of this high impact development, which is a credit to the current owners. The property also benefits from Full Grey anthracite upvc double glazing throughout and gas central heating. The front pattern imprinted driveway has space for at least four cars. Internal viewing is strongly recommended to appreciate the size of the accommodation on offer.